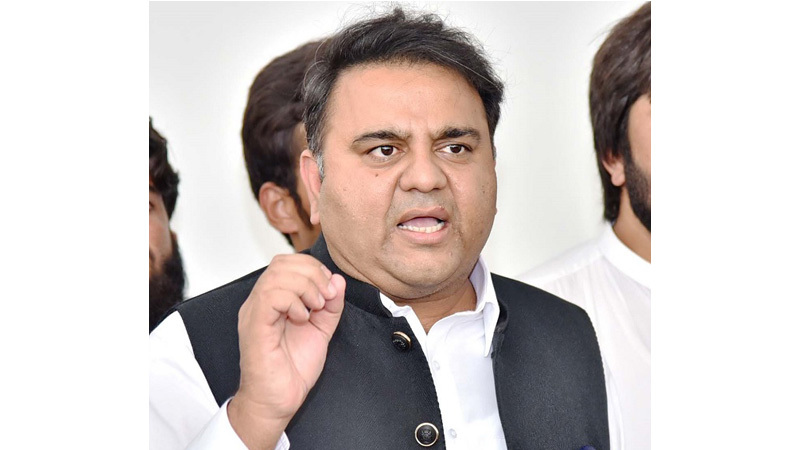 National Accountability Bureau (NAB) Chairman Justice (r) Javed Iqbal took notice of Federal Information Minister Fawad Chaudhry’s statement on Aleem Khan case and hinted at taking action against the minister on Saturday. The NAB said it has decided to analyse Fawad Chaudhry’s recent statements regarding the anti-corruption watchdog to determine whether the declarations are an intervention in the NAB matters. The watchdog clarified that it has no connection with any of the political parties or individuals, and that it has proven its impartiality with its conduct. “The NAB’s only commitment is to Pakistan,” it stressed. Earlier in the day, Fawad Chaudhry said Pakistan Tehreek-e-Insaf (PTI) leader Aleem Khan, who he said is a businessman and has no allegations of causing losses to the national exchequer, should be granted bail ‘if suspects who have looted billions of rupees are able to secure bail with such ease’. In a post shared on Twitter, Chaudhry said the general perception is that Aleem Khan is being punished for a crime he did not commit just because of the noise created by the opposition. On Feb 6, Khan was taken into custody by NAB officials in Lahore. As per a press release issued by NAB Lahore at that time, Khan was arrested for owning assets beyond his known sources of income. The information minister’s tweet appeared to be a reaction to court decisions to grant various opposition party leaders bails in the past week. On Thursday, the Lahore High Court (LHC) had suspended the life sentence handed to PML-N leader Hanif Abbasi in the ephedrine quota case, ordering his release on bail. On Wednesday, the same court had granted Punjab Assembly Opposition Leader Hamza Shahbaz pre-arrest bail in the Ramzan Sugar Mills and Saaf Pani Company cases. The same day, the Islamabad High Court (IHC) had extended the interim bail given to former president Asif Ali Zardari and his sister Faryal Talpur in the fake bank accounts case.